This week Umission honors Lisa Orden Zarin, and is making a donation to the charity of her choice College Bound in St. Louis. 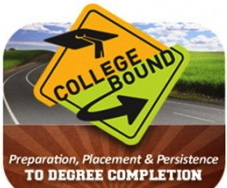 The mission of College Bound is to provide promising students from under-resourced backgrounds, academic enrichment, social supports, and life skills needed to succeed in college and careers. Hats off to College Bound for helping nearly 100% of their high school graduates earn admission to four-year colleges or universities. The year round curriculum not only helps students get into college, but graduate from college.